What are the right security features for you? The most prevalent security feature in retail is, of course, CCTV, but just how effective is it? CCTV started becoming popular in stores around the year 2000, although trials were going on as early as the 80’s and 90’s. When CCTV was first introduced many crime rates fell and more prosecutions were obtained against shoplifters. However, 17 years on and we have seen a 10 year high for shoplifting. While CCTV is the most common evidence used against shoplifters in court, it does rely on capturing good quality images of the perpetrator – not to mention the shoplifter being arrested of course. Alarms at the doors are another common retail security feature and can indicate immediately that a theft is taking place. With the right staff in place, retailers can get effective use out of such alarms. Some thieves will run when they hear an alarm and see a security guard, some will leave the stolen goos, and a minority will even return to the store and give the goods back. Without a member of staff or a security guard standing by the alarm, however, thieves would normally just keep walking casually out of the store. In a large store this can be hard to combat, as identifying the culprit out of a few people walking out at the same time can be problematic – but this is where CCTV and alarms can become good partners. Prevention partnerships (such as Catch A Thief, Shopwatch and more) can help prevent crimes before they happen and support you in obtaining the suspect’s identity when a crime occurs. The best partnerships are those that support you and help you independently. Retailers should always research how they share your information, as ideally, suspects need to be exposed in as many places as possible for the highest chance of getting them identified. Security Consultancy can be very useful in helping retailers eliminate blind spots, training staff to spot shoplifting, helping to choose the right security products, and putting a plan together implement the right solutions for the business. This works for all types of stores but can be costly. However, if you are being targeted by shoplifters, then security consultants can be very useful and worth every penny in protecting your assets. Different security features offer both crime prevention for retailers and the opportunity to help catch the people responsible. While it can be hard for small businesses to implement into their stores, any security is better than no security – and catching just one suspect will mean more profit in the business and less in the hands of thieves. 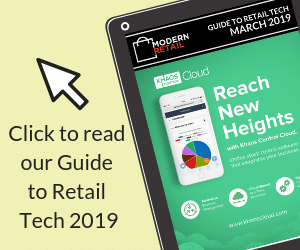 If retailers are able to implement all of the security features mentioned above then they should significantly reduce the threat of crime – and of course there are more security features out there that have not been discussed above. The BRC Retail crime survey shows that a Direct financial cost of Retail Crime is a massive £660 Million. There was also 3.6 Million offences of retail crime, these are the ones we know of as in 2014 the Home office published a survey called “Theft by customers” which stated that 3.3 Million thefts went unreported to the Police. The total cost of customer theft affecting the retail industry is £438 Million. Customer theft remains the most common type of crime, accounting for 75% of crime by incidents and 66% of the direct cost of retail crime (£438m). Report all crimes that happen to your business – Big or small, a crime is a crime and if retailers allow people to get away with crime then they can rest assured they will continue to be a target for thieves. Thieves talk about their experiences with different stores. They talk about if they were or were not caught, which area they found easier, what items they stole and, if the store caught them, they discuss what happened. Often they will return to the easier stores where they know someone has got away with shoplifting before. Eliminate blind spots – For most experienced thieves, finding a blind spot is very easy and this leaves your store vulnerable to thieves. Furthermore, the lack of evidence that blind spots create means that retailers will find it very hard to deter crime. Engage with your customers – Thieves love to walk into a store without being detected. By engaging with customers, even if just with a quick “hello”, retailers can make thieves know they are aware of their presence. This is often enough for thieves to feel that the store is “switched on” and will often discourage theft – and, of course, loyal and honest customers will feel welcome. Invest in a properly managed CCTV system & make sure signage is displayed – A properly managed CCTV system is very effective, helps to catch the suspects involved and allows retailers to spot shoplifting that may not normally have been spotted. Signage does not just help with court cases but it also deters thieves – a simple “CCTV in operation” works well, but if you are part of a crime prevention group then displaying their signage can deter would-be thieves even more.